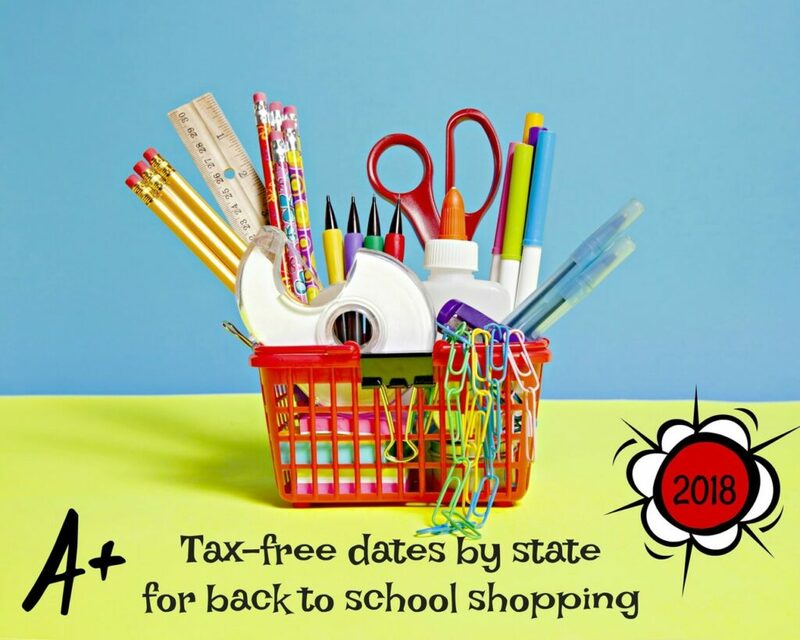 Did you know that many states offer tax-free shopping dates for back to school supplies? Not all states participate but if your state does, take a look to see the available dates and then shop accordingly! Most states offer limits on the amount you purchase. For instance, $75-100 in tax-free clothing, $100 in tax-free school supplies & $1,000 in tax-free technology (such as computers). Some states offer better deals than others. Check the sales tax holiday website for all the details. A big thank you to our friend Mary from Mission to Save for compiling this list for us.